A few weeks ago, I was sent an email, asking if I'd like to review for a new brand. At this point, I'd just made my pledge to review less, but there was something about the style and presentation of Poshinality that caught my eye. 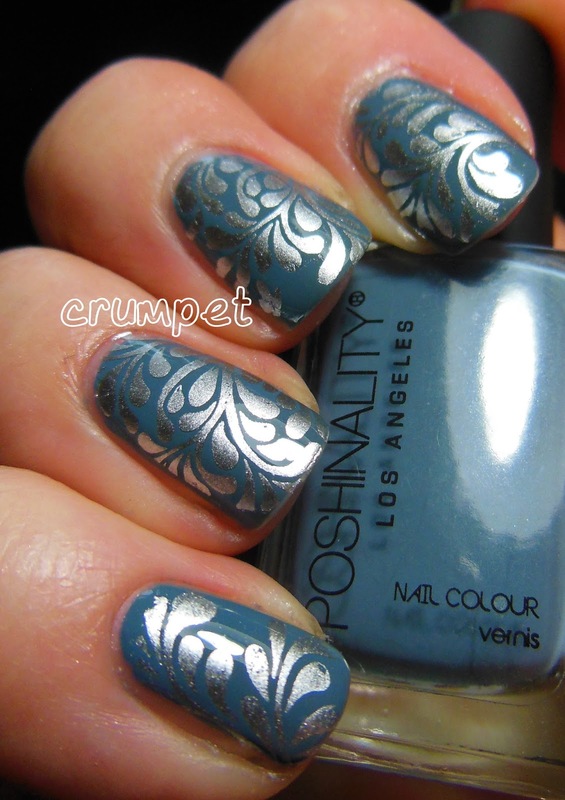 Poshinality describe themselves as a blend of Polish + Personality, and I liked that concept. I also looked at the rest of their range, and for a starter brand, was quite impressed with what they had to offer. So, here's Tomboy, my polish of choice. He's a denimy blue creme, and quite thick actually. 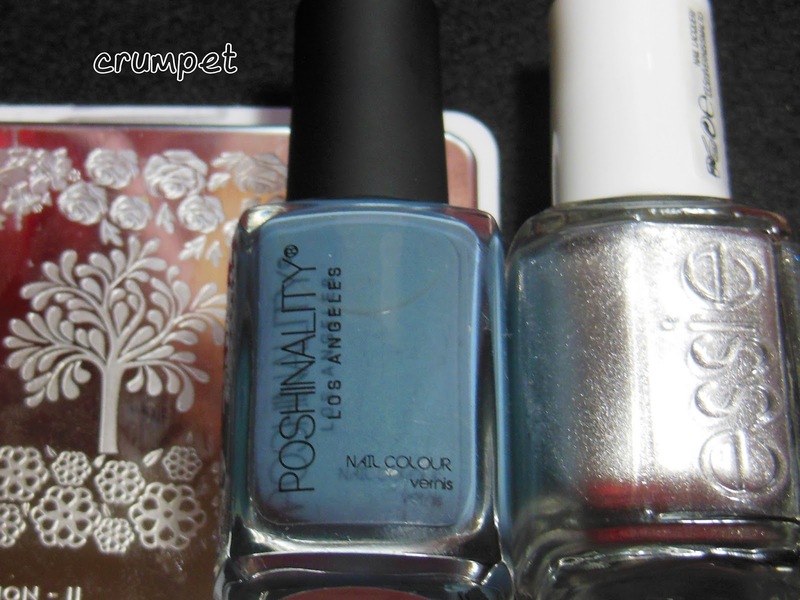 Not impossibly thick, but definitely thicker than other polishes. This is good because in time he might be a one coater. I used 2 coats here to level him out, and Poshe to make him super glossy. The blue is lovely and understated - that perfect blend of blue and grey. 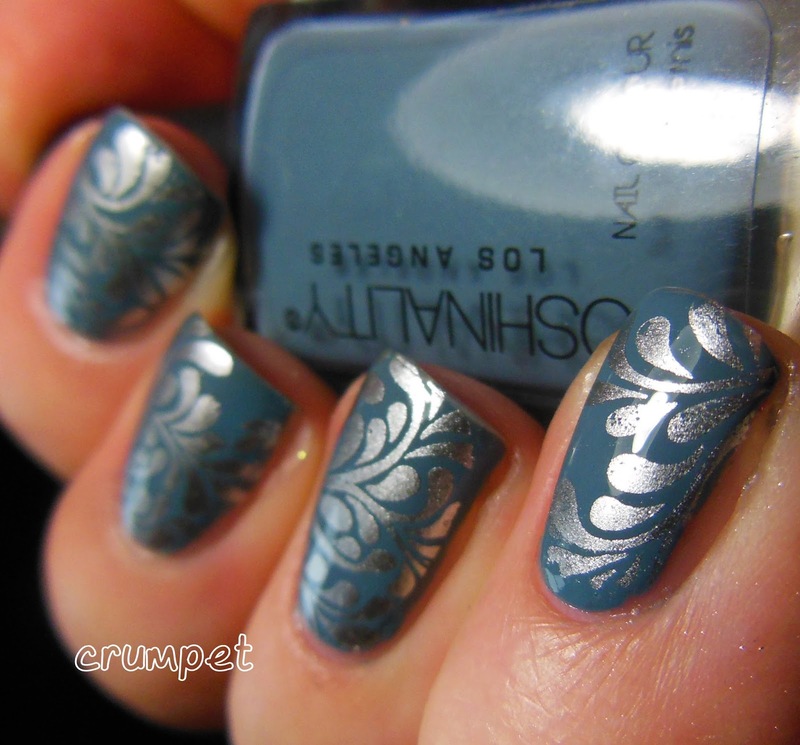 I stamped over it with this amazing pattern from MoYou Nature 11 (using Essie No Place Like Chrome). I'm obsessed at the moment with finding patterns that don't hide the entire base, and I LOVED how this one turned out. 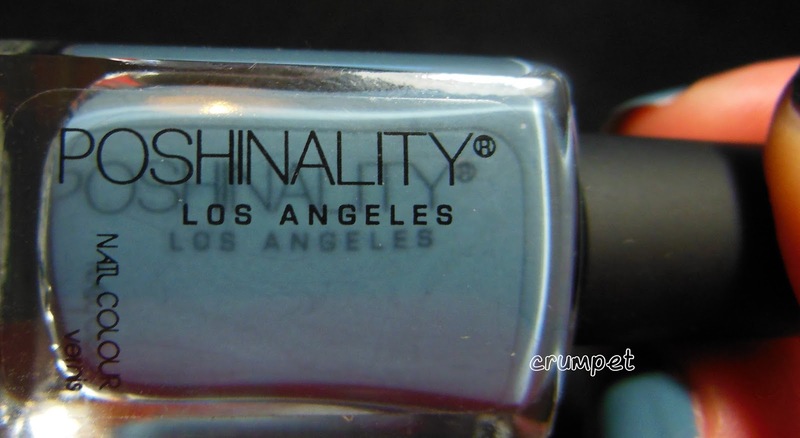 You can buy Poshinality HERE and each polish is Vegan friendly and Big 3 free. This polish was sent to me for an honest review.